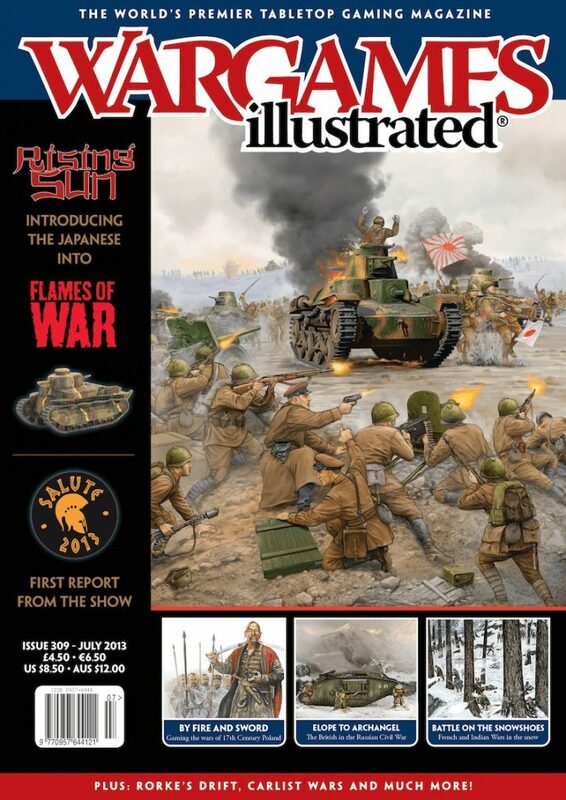 The July 2013 issue of Wargames Illustrated. Featuring the theme of The Rising Sun. One of the challenges of creating the new Rising Sun handbook for Flames Of War was introducing a new nationality to the rules. This meant for the rules writers a little more work and testing to create a new batch of national special rules for them. When doing this they had to also consider how these rules would be used when the game moved into the Pacific and Southeast Asia, so an element of future-proofing had to be considered. In this article Battlefront writer Wayne Turner discusses his work on introducing the Japanese nation special rules into Flames Of War. This year’s report from the world’s biggest wargames show, hosted at Excel, London. A look at the development of Japanese tanks between 1919 and 1939. We are guided through the creation of this wonderful (if fictional) Carlist Wars battle by Chris Thompson, one of the men behind the colorful masterpiece. Chris tells us about how the table was created, and what prompted the “what if” scenario. Two members of the Battlefront Studio team test drive the new Rising Sun Intelligence Handbook, with a battle report on their refight of this early war battle between Soviets and Japanese. Joe Legan looks at the dearth of Wargames Illustrated articles on aerial and naval combat, ponders why, and lays out a few thoughts on how the novice aviator or sailor can get started. In 1939 the Red Army possessed the most powerful tank force in the world. In this article Phil Yates examines its development during the early years of World War Two. The authors of this new pike & shot era game were eager to let us know a little bit more about how it represents the fighting that took place in and around the Polish Commonwealth in the late 17th Century. Included is a battle report. 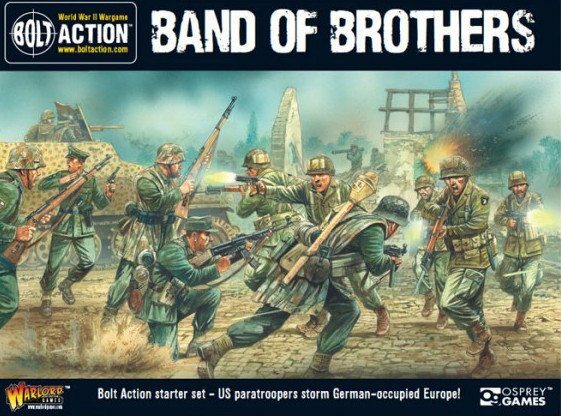 As wargamers it often doesn’t take much to spark our interest in a period or battle. A throw away line he heard in the film Northwest Passage led Nick Buxey (40 years later) to research and construct a game around the French and Indian Wars Battle on Snowshoes. Stephen Crighton presents his findings on the British involvement in the Russian Civil War, and offers up a number of gaming ideas that pit the men of the North Russia Relief Force against the Bolsheviks. In the second part of his Zulu Wars photo expose, Pat Smith takes us through the almost hopeless defence of the British outpost at Rorke’s Drift. Like our presentation of his iSandlwana set-up, the story is retold in Pat’s research and wonderful photography.